Our staff takes pride in giving your furry friend the absolute best care. We keep up to date on the latest technology and procedures available to ensure that your visit goes as smooth and painless as possible. 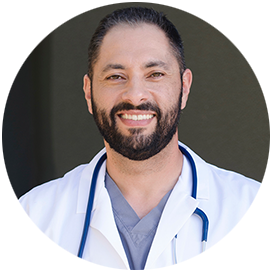 Dr. Anthony M. Rizk graduated veterinary school in 2010, completing his clinical training at the University of Illinois. Dr. Rizk completed his undergraduate work at UCLA. As a former instructor and teaching graduate student, Dr. Rizk worked on many university research studies focusing on animal behavior and neurology. His professional interests include emergency surgery/medicine, exotic pet medicine, dentistry/oral surgery, as well as soft tissue and orthopedic surgery. Dr. Rizk has many years of experience in shelter medicine and disease control. He has volunteered his time and surgical skills for pro bono work across Humane Societies, shelters, and rescues in LA and Orange County. He is a member of American Veterinary Medical Association, Southern California Veterinary Medical Association and CVMA (California Veterinary Medical Association). Dr. Fred Brewer is a board certified (American College of Veterinary Internal Medicine) veterinary cardiologist. He is a native of southern California, growing up in Long Beach where he attended Long Beach Polytechnic High School and later graduated from UCLA with a Bachelor of Science degree in Psychobiology. Later, he received his veterinary degree from Cornell University in 2009. Following the 4 years at Cornell University, he completed a 1-year general rotating internship at the California Animal Hospital Veterinary Specialty Group in West Los Angeles with Dr. Stephen J. Ettinger. This was followed by a 3 year Cardiology residency at Cornell University, where he was trained to perform minimally invasive interventional procedures such as pacemakers, balloon valvuloplasties, and PDA occlusions. 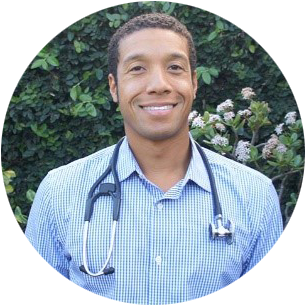 He has a keen interest in electrophysiology, has extensively studied the canine sinus node, and has published in veterinary medical journals. Additionally, he is experienced in the management of complex arrhythmias and the treatment of refractory heart failure. In addition to providing the best quality of care for his patients, Dr. Brewer is an avid surfer and enjoys playing water polo, traveling, and photography.